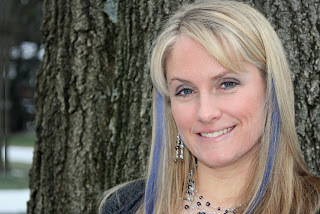 Great tips on how to create a mystery - love the idea of making your bad guy totally bad in the first draft and then on edits - add layers of subtlety so things aren't as obvious or clear-cut!! Thanks Mindee, thanks Literary Rambles!! Those are awesome tips - especially for making the great guy interesting! I love the premise of the story - adding it to my list! This sounds like a fantastic book! I totally agree on the worldbuilding advice - it's something I learned the hard way too! What a great premise! I love the story behind it! Great interview - love the tip about making your nice-guy hero into something more by giving him the best lines and the best moves. I am taking that one home! Great interview, I always love to hear where inspirations come from. The premise is very intriguing, a nightmare that invades your dreams. Wonderful. I've seen the cover of this out and about and adore it! The premise is so intriguing too! While your query to publishing story is short, Mindee, I do love knowing that it still took years (and several books) to get to the place you are today. Congratulations to Mindee! The book sounds (and looks--what a great cover!) fresh and awesome, and hearing about your fast-paced query-to-3-book-deal story was very cool indeed :) Love the tips on world-building! Intriguing premise! Really interesting about the process of character development, thanks! What a great publication story! I have always loved Susie Townsend. Great cover art too. Same artist as Leigh Bardugo's? Love your story about getting your agent, but I especially love that you said it was all the years of hard work leading up to it that made the difference. Sometimes we see the amazing stories and we forget that those people have also been working and learning for years. And those years pay off when the story is right. Congrats! I loved this post, and the information on world building was great to hear! Thanks again! I LOVE THIS PREMISE!! I'm putting it on my TBR list! Thank you. Glad you got some writing done this weekend, Natalie! What a fascinating idea for a novel. I'd love to read this. Great interview, as always. Those are excellent tips! I really loved the ones about worldbuilding. I'm totally tempted to include everything I love, but I'm willing to admit that perhaps that is a problem. Oh well. This book sounds so intriguing and interesting. Thanks for a great post! The Nightmare Affair sounds awesome! I loved Arnett's advice on world building. 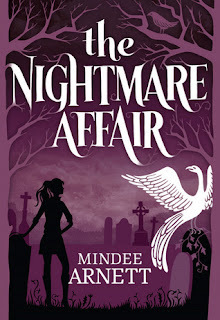 The Nightmare Affair sounds like a great read!!! Great interview too! A great and inspiring interview! Can't wait to read the book! Ahhhh I want this book so bad! I have been dying to get my hands on a copy of this. Thanks so much for this awesome giveaway! Great interview, and the book sounds terrific too! Great interview! :D This book sounds fantastic! Such great advice! I'm bookmarking this page for myself and will probably put a link to it on my blog: christiemurillo.blogspot.com so others can benefit as well. This book sounds right up my ally so I can't wait to read it! Thank you for the excellent world building advice. What an interesting idea. :) I'd love to read it! Great interview and exciting giveaway. Off to check out the author's site now! A literal nightmare - awesome idea. Would love to win this! I can't wait to read this book! :) Great interview! This sounds like a great story. Definitely putting it on my to-reads list. Great interview! Can't wait to get my hands on this one. Great interview! I like Mindee's advice on Twitter. A lot more people should follow that advice, hah. This sounds like an interesting story. Love the cover, too. 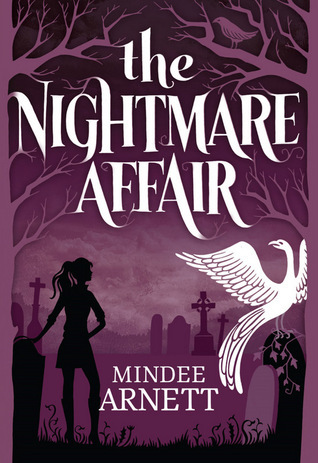 I look forward to reading The Nightmare Affair. Your pitch is perfect.